In progress shop builds, repairs, restoration and news. Ok.. 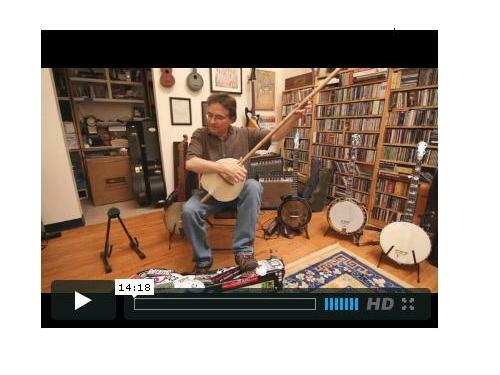 I tried to contain myself and keep this from coming out, but here is Bill Evans’ of Fretboard Journal giving the 14 minute history of the banjo. Where it goes from here we’ll have to wait and see, kind of like the ‘affordable’ care act. This entry was posted in Banjo, News, Video and tagged Banjo, video. Bookmark the permalink. Chris, that’s great. Thanks for posting. Custom, hand-built guitars and mandolins, restoration, repair and consignment for collectors and Bluegrass and acoustic musicians by Chris Oliver in Springfield, Illinois.